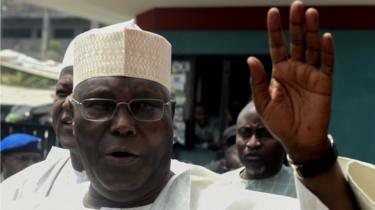 Atiku Abubakar denounces Saturday’s election as ‘sham’ and vows to challenge result. 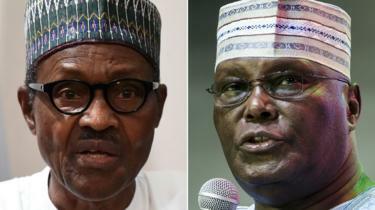 Nigeria’s opposition leader has rejected a claim by the incumbent, Muhammadu Buhari that he won the presidential election, denouncing the poll as a “sham” and vowing to mount a legal challenge. Hours after the president was announced the winner of Saturday’s delayed election, Atiku Abubakar said that the reason he had not called Buhari to congratulate him was because he had “never seen our democracy so debased”. Atiku – the former vice-president and wealthy businessman is known countrywide by his first name – said there had been “manifest and premeditated malpractices in many states”. He compared the election unfavourably with that of 2007, widely considered the worst in Nigeria’s history, in which Buhari was runner-up and Abubakar came a distant third. 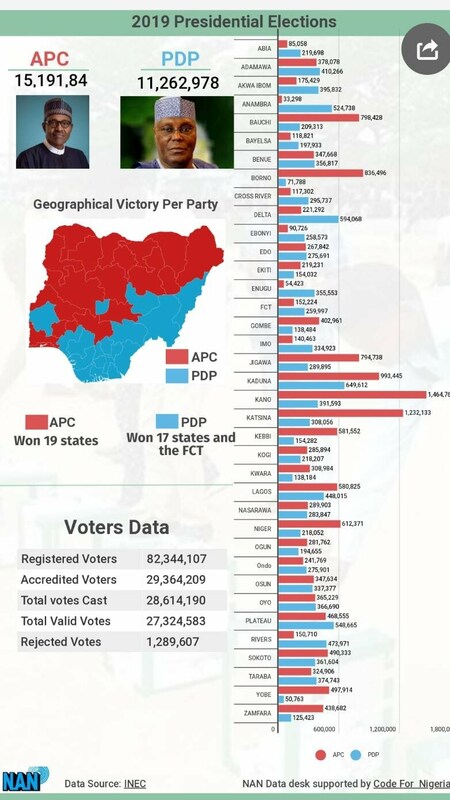 According to the country’s Independent National Electoral Commission (INEC), the People’s Democratic party (PDP) candidate scored 11,262,978 votes to finish second after Buhari of the All Progressives’ Congress (APC), whose 15,191,847 votes secured his reelection for a second term in office. 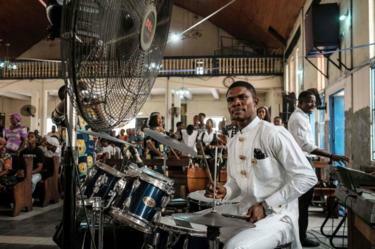 The elections, Nigeria’s sixth since its return to democracy in 1999, were seen as a referendum on the presidency of Buhari, the tough-talking former general who was also a military head of state in the 1980s. Despite seeming unpopular with large sections of the population, Buhari managed to retain most of his base and do well in opposition strongholds. 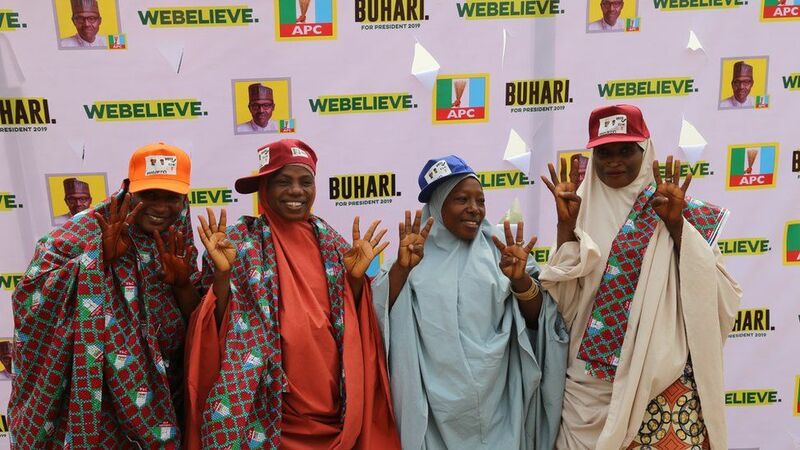 The bulk of Buhari’s votes came from four of Nigeria’s 36 states: Kano, Katsina, Kaduna and Kebbi, nicknamed the Kardashian sisters by election observers for their alliterative coincidence with the American celebrity family. The states have consistently given huge margins to Buhari since his first attempt at becoming civilian president in 2003. 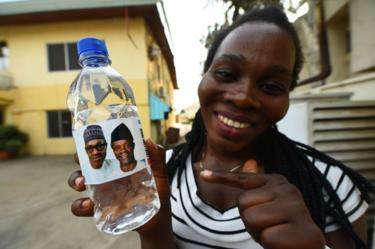 This time, they contributed a cumulative 4.2m votes – about a quarter of Buhari’s eventual tally. 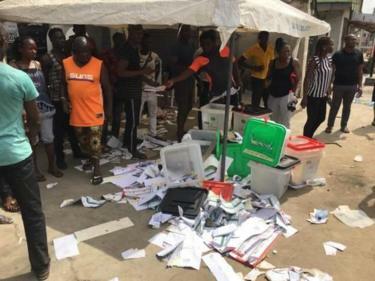 Local observers pointed to irregularities and violence during the polls, which continued into Sunday morning in some areas, hours after voting had been concluded in most states. In 2015, Buhari’s predecessor, Goodluck Jonathan, called his opponent within hours to congratulate him, a rare occurrence in the country’s intricate and dramatic politics, but Atiku insists he will not go down the same route. Buhari, who became president on his fourth try in 2015, lost all of his cases at the supreme court after his previous three attempts at the presidency in 2003, 2007 and 2011. Nigeria election 2019: Muhammadu Buhari takes early lead. President Muhammadu Buhari has taken an early lead as votes are being counted in Nigeria’s general election, amid allegations of manipulation. 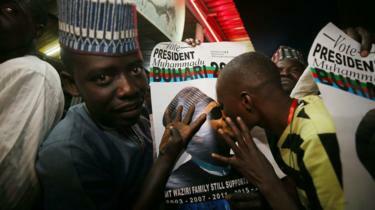 Mr Buhari has won seven of Nigeria’s 36 states, while his rival Atiku Abubakar took two states and the capital Abuja. As results came in, Mr Abubakar’s People’s Democratic Party (PDP) alleged that there had been irregularities in the vote. He said there had been an “attempt by the government and other agencies to manipulate the result”, but did not give any evidence. The EU, US and African Union have all expressed concern about delays and logistical problems with voting on Saturday, but no independent observers have suggested fraud. Mr Buhari, a member of the governing All Progressives Congress (APC) party, is seeking re-election but faces a strong challenge from Mr Abubakar. Each party says the other is working with the Independent National Electoral Commission (Inec) to influence the vote, which was initially scheduled for 16 February but delayed at the last minute. Mr Buhari has promised to build on his accomplishments in office so far, while Mr Abubakar, a business tycoon, has accused the president of wasting his term. Whoever wins in Africa’s most populous nation and largest economy faces a range of problems including power shortages, corruption, security threats, and an economic slowdown. Final results are not expected until later in the week. But Mr Secondus has criticised the initial tallies, saying the government was using “impeachments, manipulation, incarceration” to influence the outcome. In turn, the federal government accused the PDP of trying to “scuttle the polls” and prompt a constitutional crisis. The initial vote was postponed early on Saturday 16 February, five hours before polls were due to open. Voters were also choosing members of the House of Representatives and Senate. 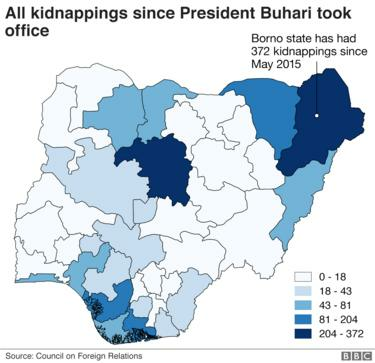 Most of the country was calm but there were reports of attacks by the Boko Haram Islamist militant group in the north, and voter intimidation and attempts to steal ballot boxes, especially in the southern states of Rivers, Lagos, and Anambra. 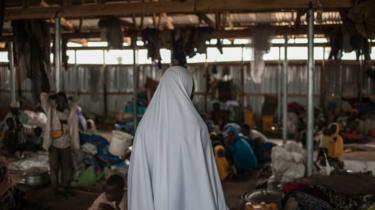 A coalition of civil society groups reported that a total of 16 people were killed around the country – fewer than in previous elections. Two people were arrested in Lagos after a group of armed young men attacked voters, eyewitness Ralph Onodike told the BBC. 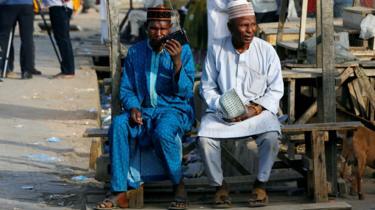 “What they were saying was that if you were not [voting for the ruling party] APC, you’ll be attacked,” he said. 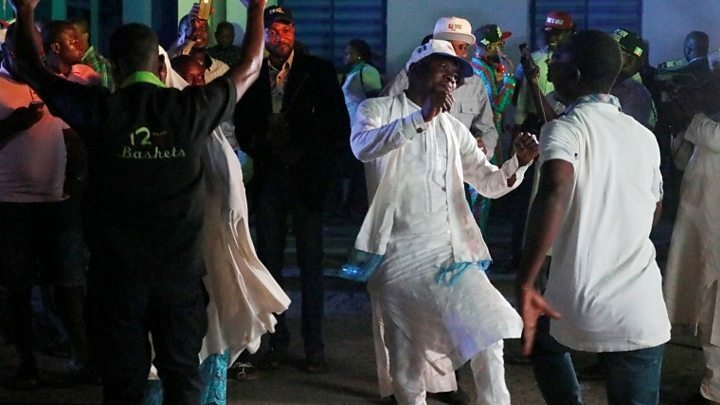 The candidate with the most votes is declared the winner in the first round, provided that person gains at least 25% of the votes in two-thirds of Nigeria’s states. There are 73 registered candidates, but Mr Buhari and Mr Abubakar have dominated the presidential election. Both are from the mainly Muslim north of the country and both are in their 70s, while more than half of Nigeria’s 84 million registered voters are under 35. Nigeria is Africa’s largest oil producer but corruption and a failure to invest the proceeds from the industry have hampered development. 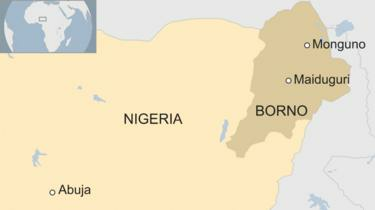 Mr Buhari has quelled a militant Islamist rebellion in Nigeria’s north-east, but Boko Haram remains active. 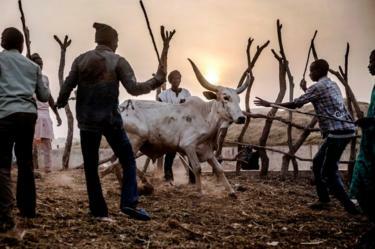 There has also been an upsurge in violence in the country’s Middle Belt as traditional herders and more settled farmers have clashed. “The press statement dated February 24, 2019 by the Peoples Democratic Party (PDP) is an unwarranted strike against democracy and the people of Nigeria. “The PDP in that press statement, recklessly calls on the Independent National Electoral Commission (INEC) to arbitrarily name its candidate, Alh. Atiku Abubakar the winner of the presidential election. “This call is shameful and alarming. Unwilling to wait for INEC the constituted legal authority to complete its task, the PDP seeks a short cut by false and premature claims of victory. This cannot stand. Because they want the presidency so badly that they have engaged in all manner of misconduct and spared little cost to achieve their aim, they now believe that they are entitled to claim victory notwithstanding the vote and will of the people. But this is not the way of democracy. Democracy means the people choose for themselves not that the PDP chooses for them. That may have been the way in the past when they engineered and kidnapped elections to achieve their desired end notwithstanding the true will of the people. Thankfully, those days are gone and gone forever. These elections are supposed to be democratic exercises not a platform for the PDP to impose their selfish designs on a hopeful nation. The PDP should honour and follow the sovereign will and sober dignity of the Nigerian people. The people patiently waited the additional week for Election Day to come. The vast majority of people again exercised patience as they peacefully voted on Election Day. Unfortunately, isolated incidents of violence took place. We are deeply saddened by the violence and disruption that did occur. Nigerians died yesterday and that should never have happened and should never happen again during an election of any kind in our land. Their deaths are needless tragedies that mar what was otherwise a celebration of our maturing democracy. Instead of the discordant and provocative statement it released, the PDP should be appealing for peace and for INEC to diligently and thoroughly perform the vital task assigned it. Curiously, the majority of violent incidents and reports of electoral malpractice emanate from states which the PDP controls. It appears the PDP just cannot break from their old ways. The PDP press statement is but a continuation of the sordid games that party has mastered. While all evidence points to the misconduct of their people, they make outlandish and false claims against the APC. This is but the typical modus operandi of a master swindler. They seek to distract the public eye from their own wrongs, by falsely accusing the APC of the very things they had conspired to set in motion months before this election even took place. From trying to falsify results on the ground to attempts at hacking the INEC software, they are willing to say and do anything to obtain victory, no matter how tainted by the wrongs they commit. For our part, the APC has governed and campaigned as we believed was right. Because of this, we are content to await the verdict of the people. We also believe that only INEC has the authority to announce election results. What the PDP is trying to do, by claiming without any factual basis that Atiku has won, is usurp INEC’s constitutional authority. Moreover, PDP’s words are rash eruptions that may incite needless violence and unrest. Thus, we ask the PDP to live up to the status it claims for itself as a large political party. The PDP should behave more responsibly instead of acting the role of spoiled children who threaten to upset the dinner table if not fed their preferred meal. The APC asks and encourages INEC to do its job as mandated by law and by good conscience and not by the screams of those who do not fully believe in these ideals. We hope INEC can begin to release results soon and do so in a way that protects and honours the vote of every Nigerian who cast a ballot. 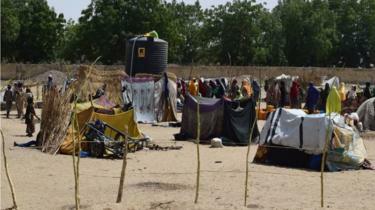 We also ask our members and supporters to exercise patience and conduct themselves peacefully. Democracy is a contest of issues and visions. Not one of muscle and fighting. Let there be no more violence among us. Remember that we are all Nigerians and belong to the same national family despite our political differences. On this day, may democracy and sovereign will of the electorate reign. There is no worthy substitute for this despite the malign protestations of the PDP. If Nigeria is to stand for something, let it be democracy and let it be today so that we assure for ourselves fruits of a brighter future.”, the ruling party added. The presidential candidate of the Peoples Democratic Party, Atiku Abubakar, is currently leading in the Saturday’s presidential election in Oyo state. Alhaji Abubakar, in the results of the 10 local government areas so far announced by the Independent National Electoral Commission, is currently winning in nine. The results show that Alhaji Abubakar got a total of 85, 109 votes while President Muhammadu Buhari of the APC scored a total of 79,802 votes. The results depict that Mr Abubakar won in Afijio, Saki East, Kajola, Ibarapa North, Ibarapa East, Itesiwaju, Iwajowa, Ibadan North West and Olorunsogo. NOTE: The results of 23 local government areas have not been announced yet. Due to logistical problems and some cases of violence, polls have been put back to a later date in a few areas. 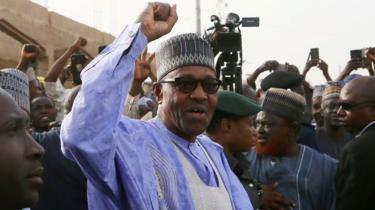 President Muhammadu Buhari, 76, is seeking a second term. His main challenger is former Vice-President Atiku Abubakar, 72. The election had been due last week but was delayed at the last minute. Whoever wins in Africa’s most populous nation and largest economy will have to address power shortages, corruption, security threats, and an economic slowdown. 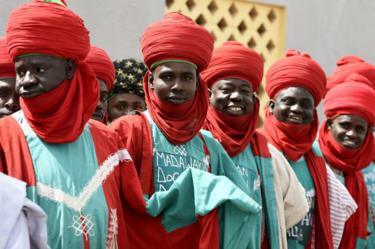 Mr Abubakar, a business tycoon, also said he was confident of victory. 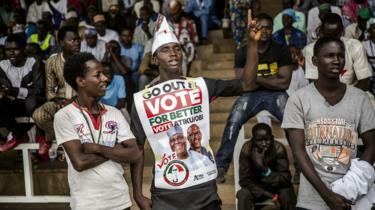 The main results centre is expected to open at 18:00 local time (17:00 GMT) in the capital, Abuja, but final results are not expected until Monday at the earliest. 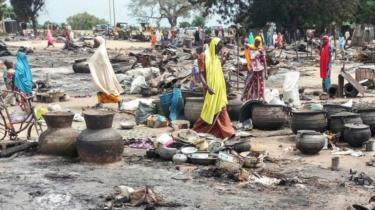 Most of the country was calm but there were reports of attacks by the Boko Haram Islamist militant group in the north, and voter intimidation and attempts to steal ballot boxes from some polling stations, especially in the southern states of Rivers, Lagos and Anambra. A coalition of civil society groups reports that a total of 16 people were killed around the country – this is less than in previous elections. Two people were arrested in the Surulere district of the commercial capital, Lagos, after voters were attacked by a group of young men “brandishing weapons: cutlasses, axes and stakes”, one witness told the BBC. “What they were saying was that if you were not [voting for the ruling party] APC, you’ll be attacked,” Ralph Onodike, who sustained an arm injury, told the BBC. 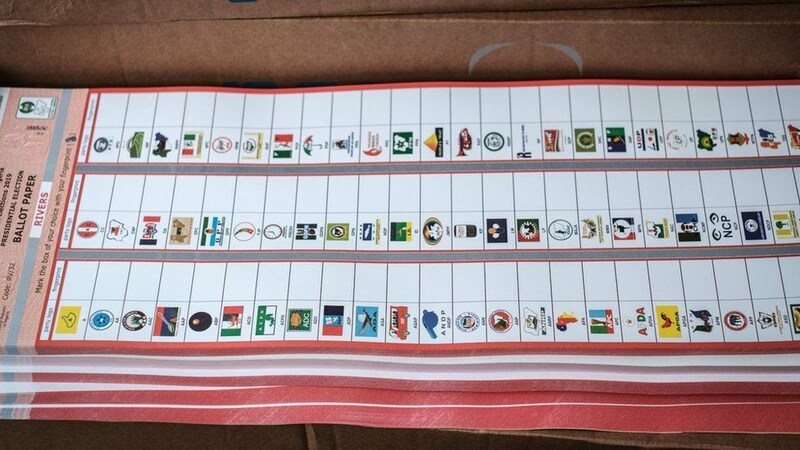 The Independent National Electoral Commission (Inec) said that voting had not been possible in about 8,500 of the 120,000 polling stations around the country, reports the AFP news agency. But Inec official Festus Okoye said the commission was “generally satisfied with the process and the procedures for the conduct of these present elections”. 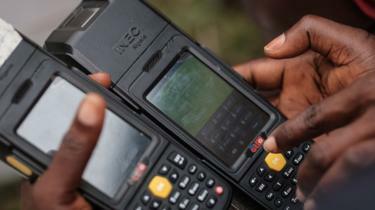 He said 68% of polling units had opened by 10:00, according to Reuters news agency. Voters were also choosing members of the House of Representatives and Senate. Makurdi – President Muhammadu Buhari, the Presidential candidate of the All Progressives Congress (APC) has scored 12,197 votes in Tarka Local Government Area to floor Atiku Abubakar of the People’s Democratic Party (PDP) who had 4,875 votes. 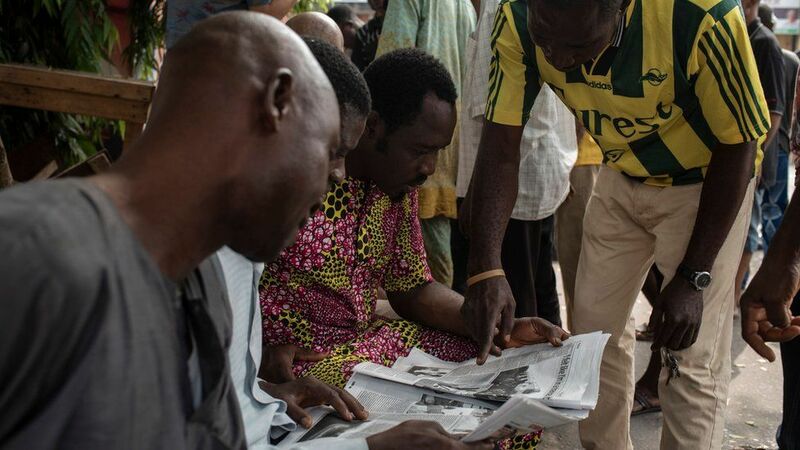 Announcing the results on Sunday in Makurdi, the INEC Collation Officer for the election in Tarka local government area, Prof. Simon Ejembi, said the local government area had 10 registration areas with 50,180 total number of registered voters. According to him, the total accredited voters were 18,749 while total number of valid votes were 17,424. He said the total number of rejected votes stood at 1,089 and the total number of votes cast were 18,513. Also announcing the result of the presidential poll for Ado Local Government Area, the collation officer, Prof Idugba Echi, said PDP polled 8,614 to defeat president Buhari of the APC. The collation officer said the local government council , which has 10 registration areas, had a total of 73,129 registered voters with 16,747 accredited voters, while 1,093 votes were rejected. He explained that the total number of votes cast were 16,413. 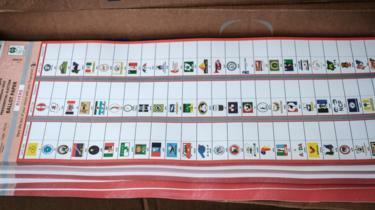 NAN also reports that of the 13 National Assembly seats in the state, non was declared by the electoral umpire. 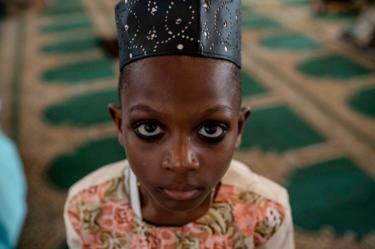 His father, a devout Muslim, was briefly jailed for trying to stop him from attending a Western-style school. Each of the 84 million registered voters in Nigeria is required to bring a Permanent Voting Card (PVC), which is then verified at the polling station using a smart card reader. A boy sells balloons in the centre of Libya’s capital, Tripoli, on Saturday on the eve of celebrations to mark the eighth anniversary of the Libyan uprising. 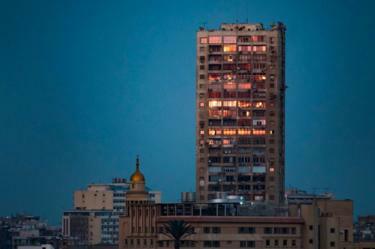 In neighbouring Egypt on Wednesday, the windows on this tower block catch the fading sunlight in the capital, Cairo. 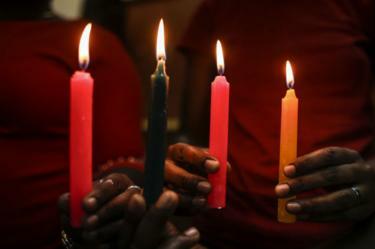 On Sunday, members of the LGBT-friendly Cosmopolitan Affirming Church in Kenya’s capital, Nairobi, hold candles. 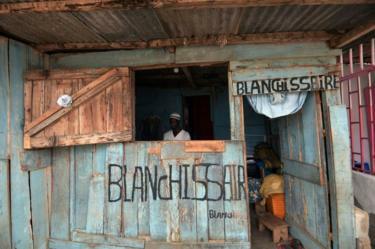 A man irons clothes on Tuesday at a laundry in the suburbs of Ivory Coast’s economic capital, Abidjan. 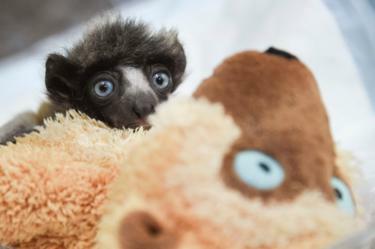 One of Madagascar’s critically endangered lemurs, a crowned sifaka, is seen in a zoo in eastern France on Monday, cuddling up to a teddy bear. 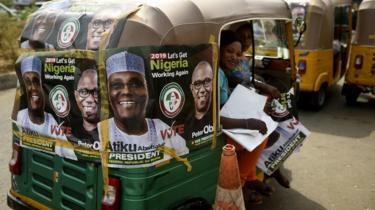 In the city on Monday, campaign posters for PDP candidate Atiku Abubakar and his running mate adorn rickshaws taxis. The delayed polls are now due to take place on Saturday. 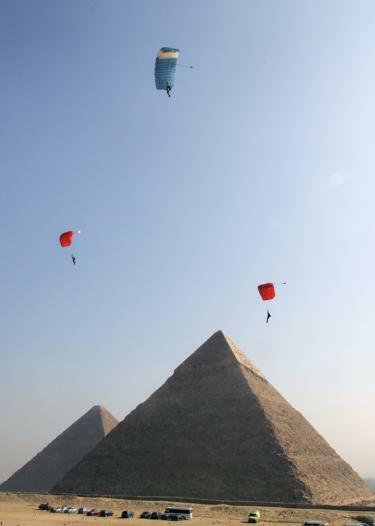 Paragliders sail over the pyramids in Giza on the second and final day of the Egypt Air Games on Tuesday. 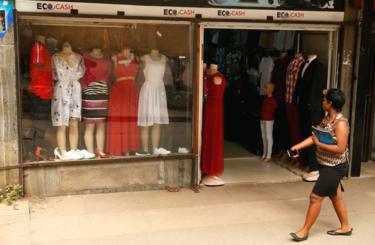 The next day, a woman walks past a shop in Zimbabwe’s capital, Harare, that accepts EcoCash, a mobile money system used because of a chronic cash shortage. And inmates in celebrate on Sunday with the newly crowned Miss Kodiaga Women’s Prison in western Kenya – an annual event organised by an NGO. Voters here discussed the election last week, but will they be as excited about the rescheduled vote?